This entry was tagged Daily prompt, Ireland, liebster, peace, swimming, trucker, violence, war, writing. Bookmark the permalink. That’s awesome Frankie. Congrats. I haven’t even had time to finish up the one you so kindly gave me. You deserve it! Thanks Cheryl. I know you already got the Liebster a couple months ago. Compliments on your award! Bravo! Your down-to-earth writing style is what drew me in when I stumbled upon your blog. Your ability to weave a story seems to come naturally and there’s never a dull moment in your work. It’s a pleasure to read about your adventures. You have a great gift and kindly sharing it with the world is an even greater gift. Keep up the good work … you’re the Frankiest! Kidding! A very big thanks, Cathy. My problem is I can’t make up my mind what kind of writer I want to be. Just a human one I suppose. You are a lovely writer. I think you nailed your personality just now, Humble. Even though you have lots to boast about. I was speaking with my wife today about you and your hubby. I am trying to convince her that we could start a business together. Your happy, mannerly attitude is inspiring. OK, gotcha! Now I see how this works. Thanks for taking the time to explain. As to your thought about ‘what kind of writer I want to be’, let your writing run a natural course. It will take you where you should be. I’m trying to get back to my writing roots via my blog. You and your wife should consider a business partnership. Greatest thing we did because working together for “us” keeps a common goal and vision alive in the best way ever. This an award which is passed along to bloggers with less than 500 followers. I am sure you can handle it. No panic, some folks take weeks before they decide on their 11 nominees. If you do it similar to mine. Answer the questions from ” tea or coffee?” downwards. Then list your nominees and ask them eleven questions. And be sure to let them know by a little message. 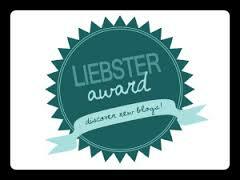 You can upload a pic of the liebster badge to your page also. Thank you, Sue. I don’t know but I’m not giving it back if it was a mistake. Hi Anna, You have to do a post similar to mine. In which you answer the 11 questions starting with “Tea or Coffee?” Just like I answered the questions posed by startingwritenow. Maybe include a link to this post. Then comes the hard part. Pick 11 blogs with less than 500 followers who don’t seem to have the award already. Don’t sweat this too much, don’t worry. Make up 11 questions for them to answer. Then go and notify them like I did on your ‘about me’ page. Take your time, you will need it. It might take days or weeks before you get it together. And remember to upload a badge to your blog. If I can do it, anybody can. 🙂 Thanks Anna. Congratulations on the Liebster Award, most well deserved! The House of Pepper looks forward to your posts! Likewise, House of Pepper 🙂 You deserve your award.! 7. Favourite holiday memory, if any? I’ll always remember Dad pushing my brother and I onto what seemed near certain death wish like 3 foot waves on foam surfboards. 8. Can you swim? I’m Australian, we can all swim! 11. Can you recommend an Author? Sure, Roald Dahl – he’s not just for the kids! I understand you have your own ‘rules’ on your blog. I’m easy with doing it in the comments. You’re welcome and Thank you Victoria. It does take a lot of time and clicking and linking. planning…schedules…always a good thing – now if I could just get my discipline in order, I’d accomplish more!